The construction of the church was given the green light by Archduke Leopold of Austria on December, 15th 1614. Project management was entrusted to Christophe Wambser. 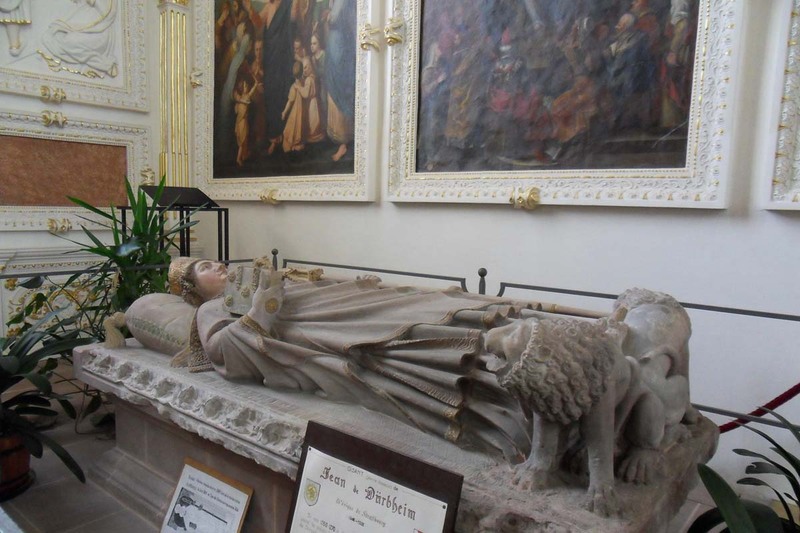 Jean Isfording, a Jesuit in charge of the College of Molsheim, served as foreman. The first stone was laid in February 1615 and the building was finished two years and nine months later. 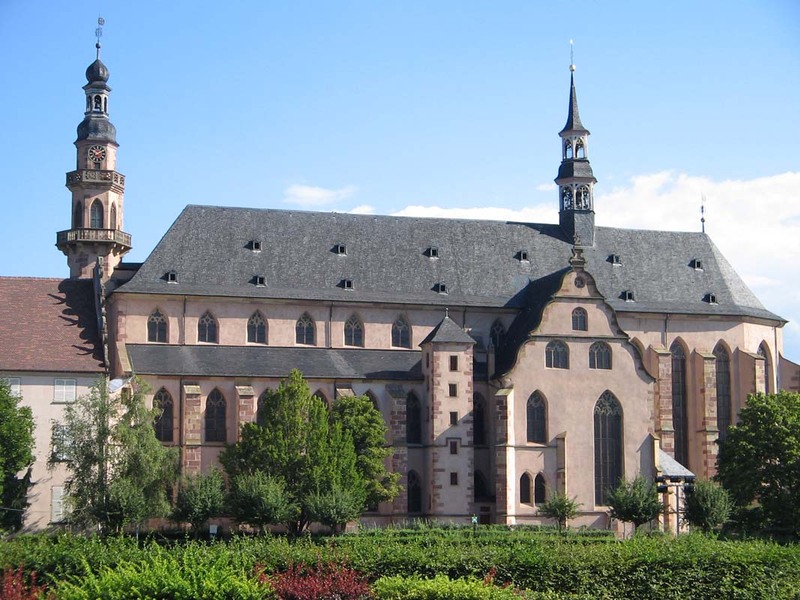 According to the historian Hunckler, this Gothic style church is one of the most impressive and magnificent of the country. 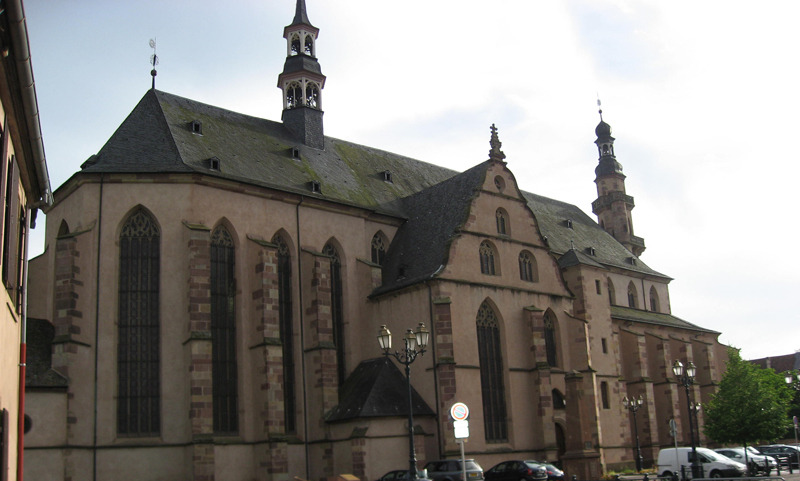 Next to the Cathedral of Strasbourg, the Jesuit Church of Molsheim is the second largest church in Alsace, with its 61,5 x 21,5 m (201.8' x 70.5') interior and its 20 m (65.6 ft) high nave. Measuring 19,5 x 11 m (64' x 36'), the chorus has been raised and its majestic stone arch is held in place by four lions. The altar was replaced by a Neo-Gothic high-altar in 1865. 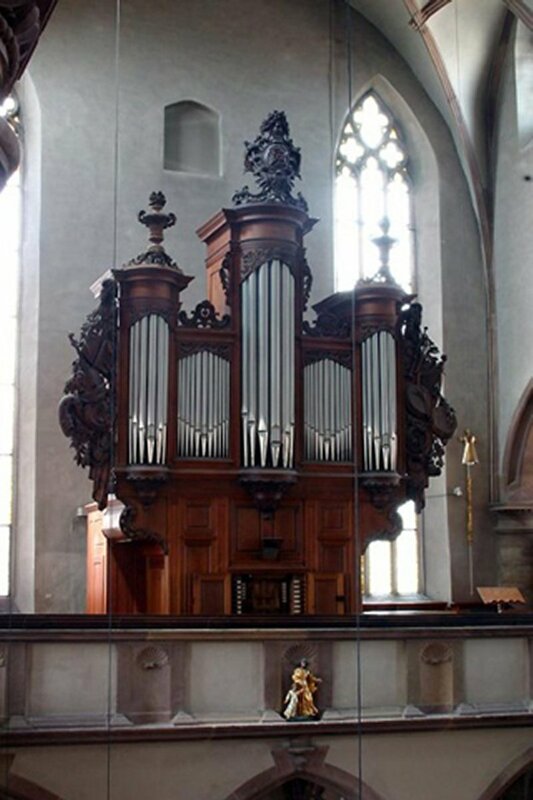 Built in 1781 by Jean André Silbermann, it is the only organ in Alsace with a manual of four octaves and an echo division. 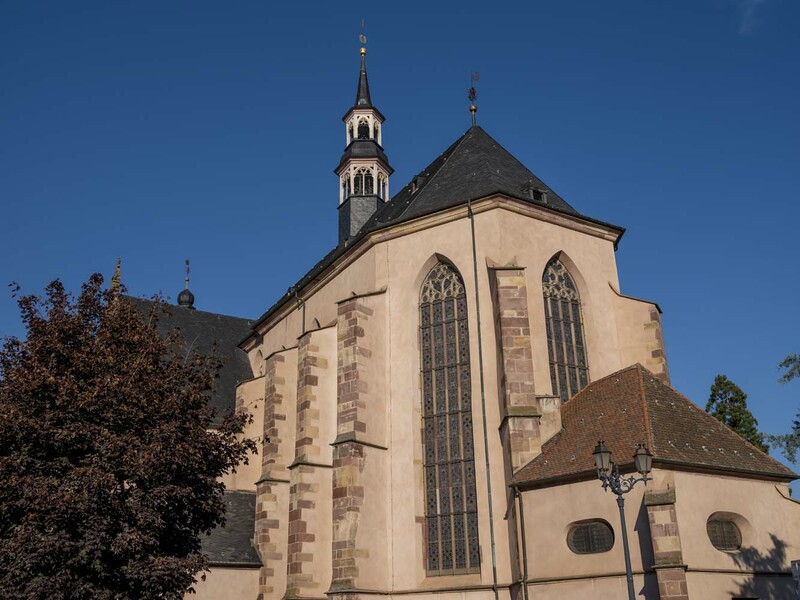 It is located on the spot of the former chapel of the St. Mary medieval hospital of Molsheim. Formerly Chapel of the Cross. At the entrance stand four beautiful statues representing the Evangelists. The chapel took the name St. Ignatius in 1622, as a tribute to the founder of the Jesuit order.